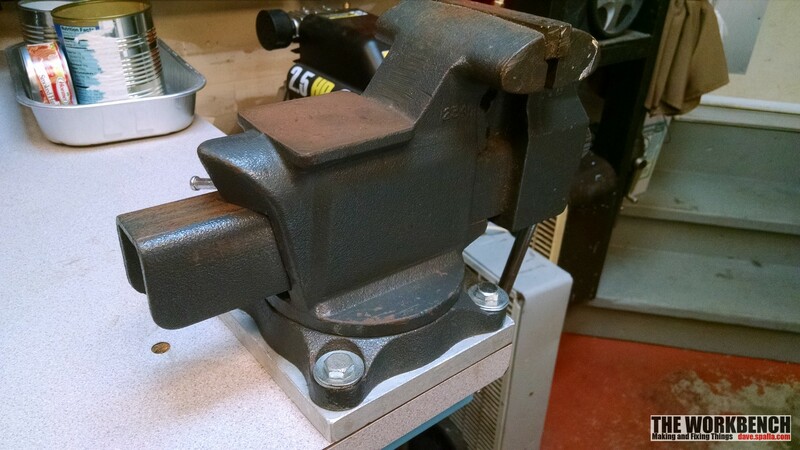 The bench vise is a garage shop necessity; it can be used for a range of tasks from automotive, metal and woodworking. Just as important as having a good vise is proper mounting of it. 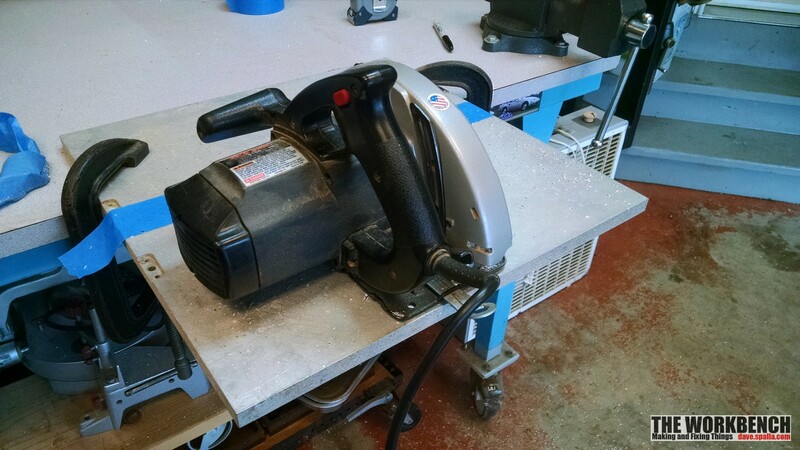 The garage workshop used by The Workbench has a 4 1/2″ Craftsman vise (made by Wilton) mounted to a Workplace Systems mobile bench. It was mounted in a way that would allow two of the bolts to pass through the steel square tube structure of the bench. 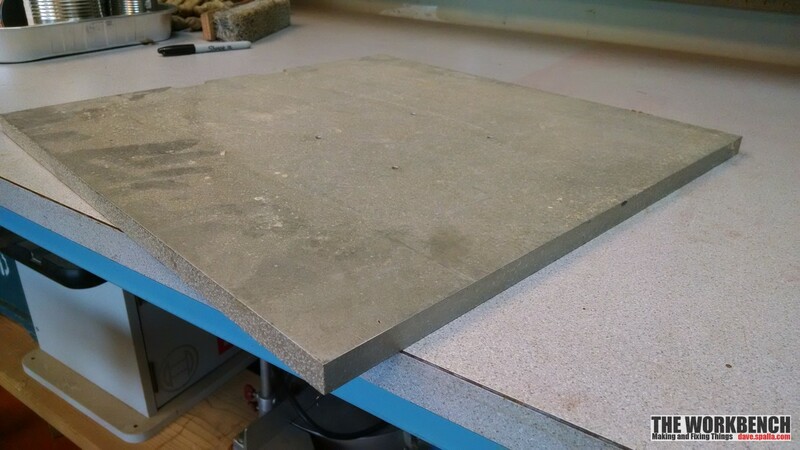 This was important because the bench surface is just 1″ particle board with laminate. Although very sturdy, this limited it limited it functionality. As shown in the images below, the rear jaw sits behind the edge of the bench surface which limits the vise to smaller pieces. 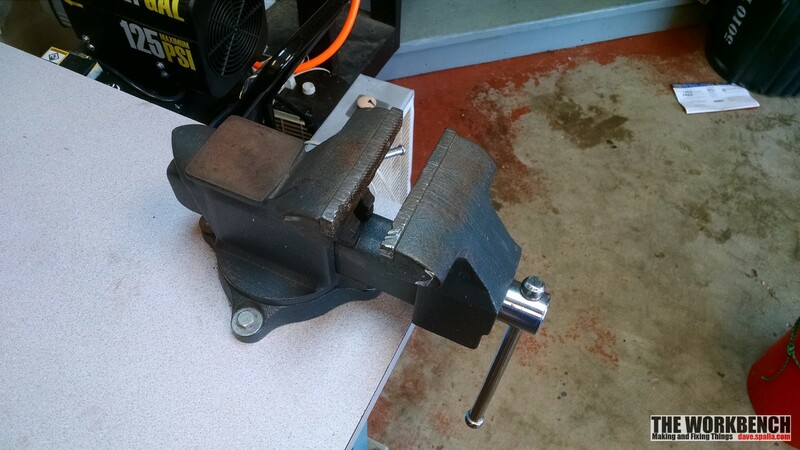 The point of this project was to move the vise forward without affecting the mounting strength. 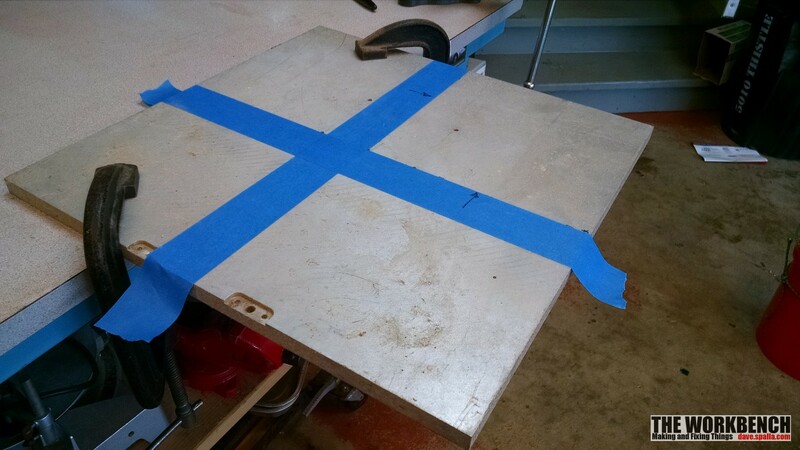 To accomplish this, since now three of the mounting points would be through the particle board only, a backer plate would be required. 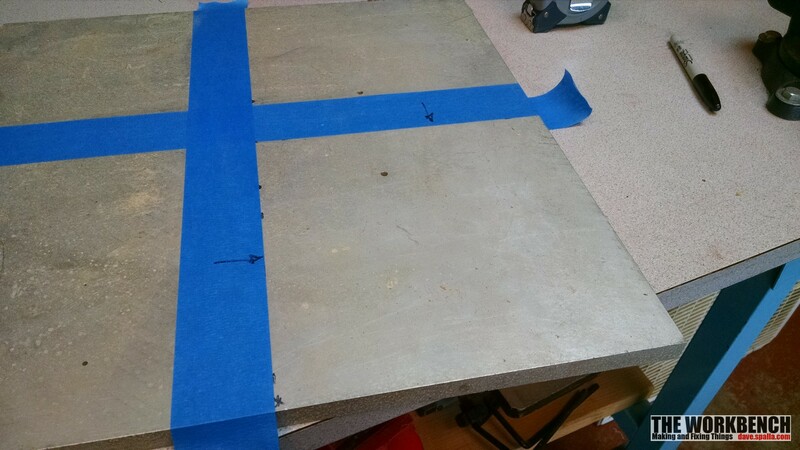 In the shop there was some 1/2″ aluminum plate that would work great in this application. The piece was quite large, much larger that required for this project, so it would have to be cut to size. 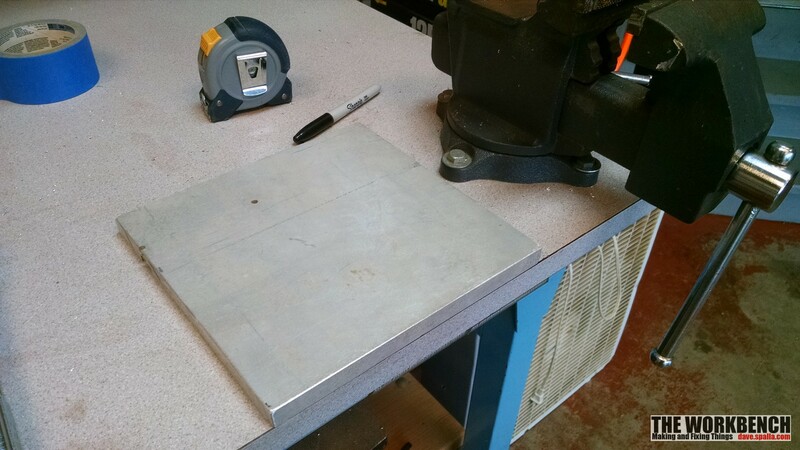 Initially the piece was to be 7″ square, larger that the vise footprint, larger than required. Instead of using scribed or marked line, painter’s tape was used to provide a high contrast line to follow. 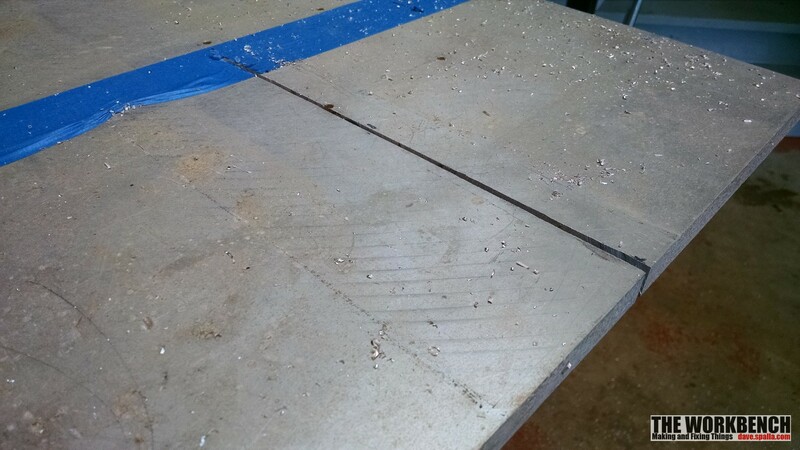 The cut was made using a Skill circular saw with a cheap carbide-tipped blade. The piece was securely clamped to the bench before making a cut. This method worked well, but the saw had a tendency to wander to the left. A fence would be a better option than freehand, but it worked well enough if the cut is made slowly. 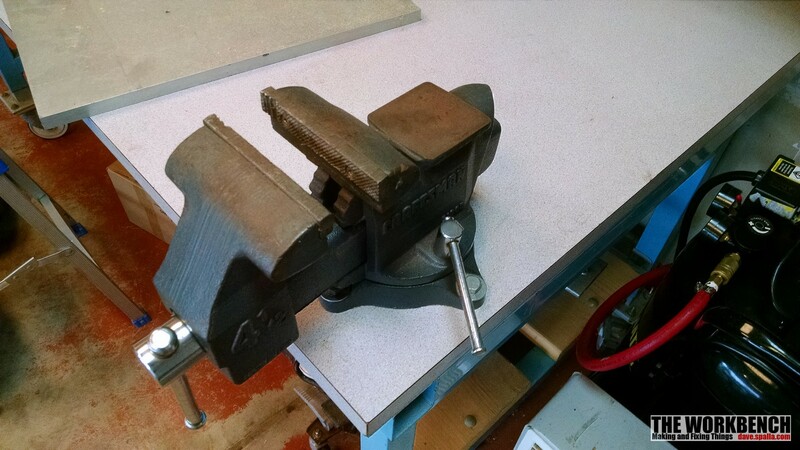 As stated above, the piece cut out was too large, so it was cut again to fit close to the base of the vise. 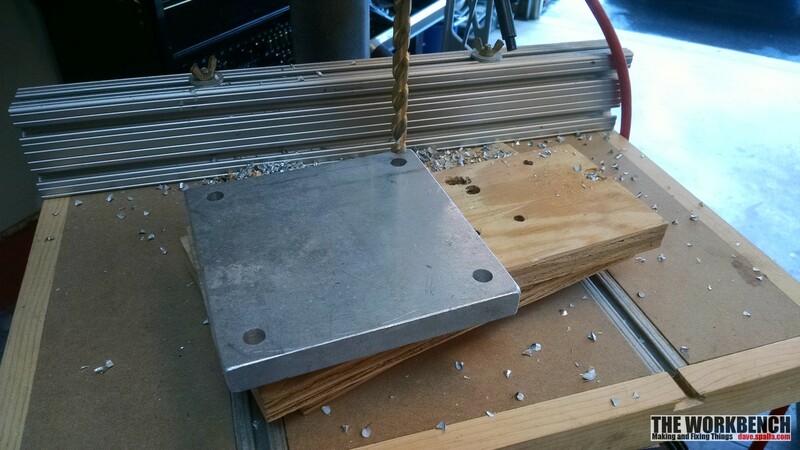 Using the vise as a template, four holes were marked onto the aluminum plate and drilled at the drill press. 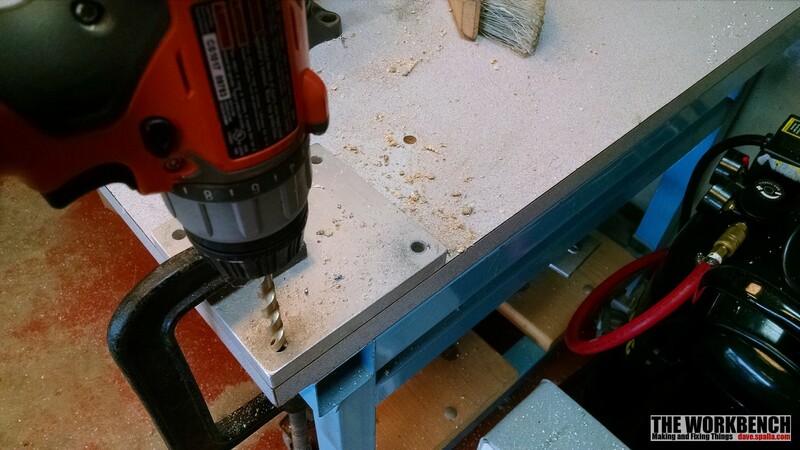 With that complete, the plate was then used as a drilling template for the workbench holes. 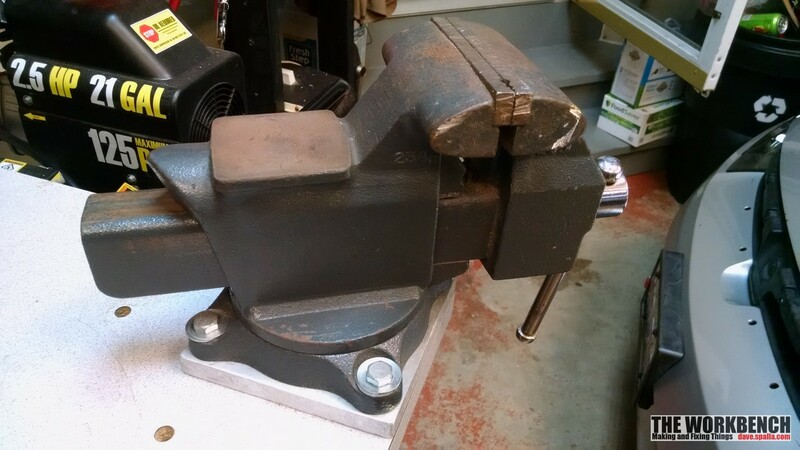 Bolted down, there is plenty of strength and large items that extend below the surface of the bench can be clamped in the vise jaws.